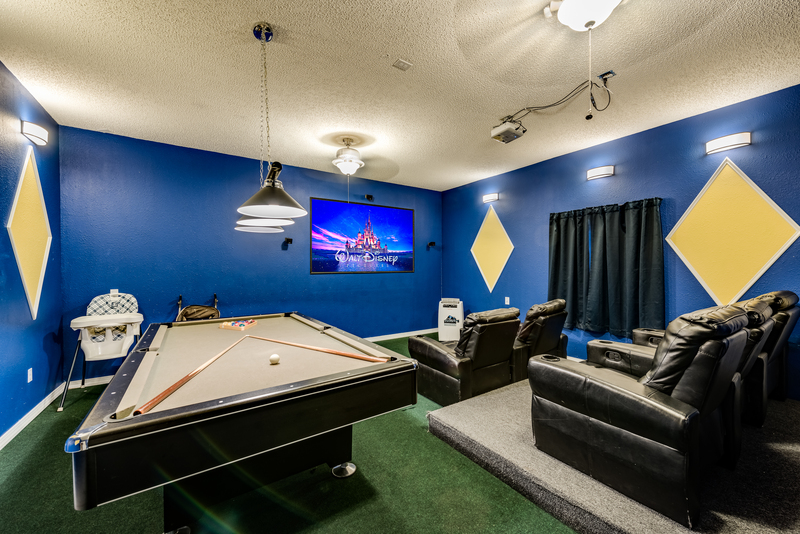 Enter the Hollywood themed games room and you will be 'wowed' with all the toys we have for adults and kids. 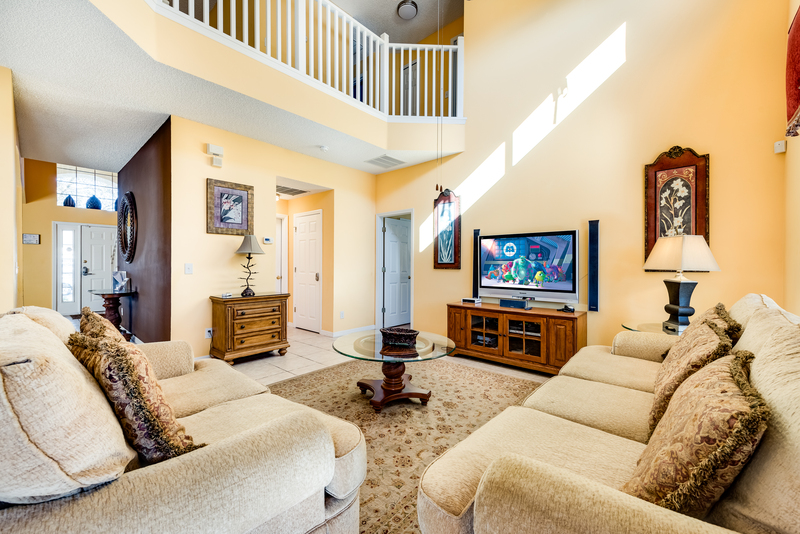 Our games-room is fully air-conditioned for the comfort of our guests. 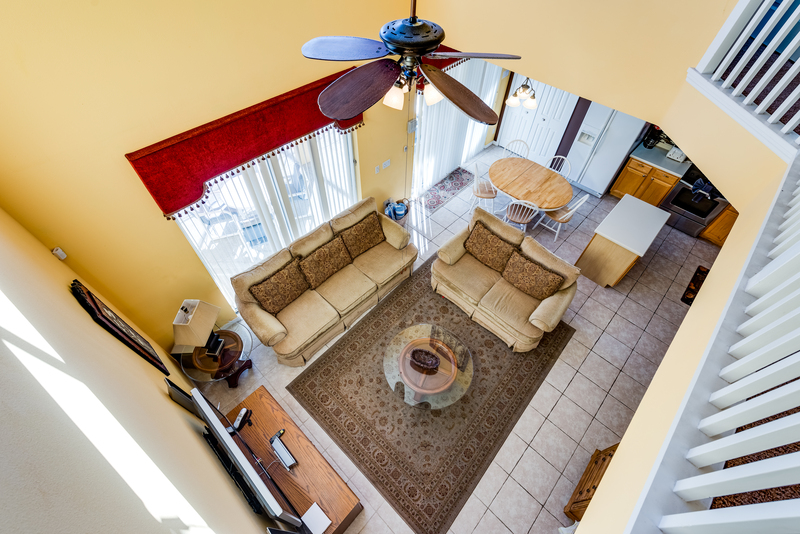 Whether you want to enjoy a game of pool on our full-sized slate pool table or simply relax in the professional theater watching a movie on a 100" theater wall, this luxury vacation home has it all for you. 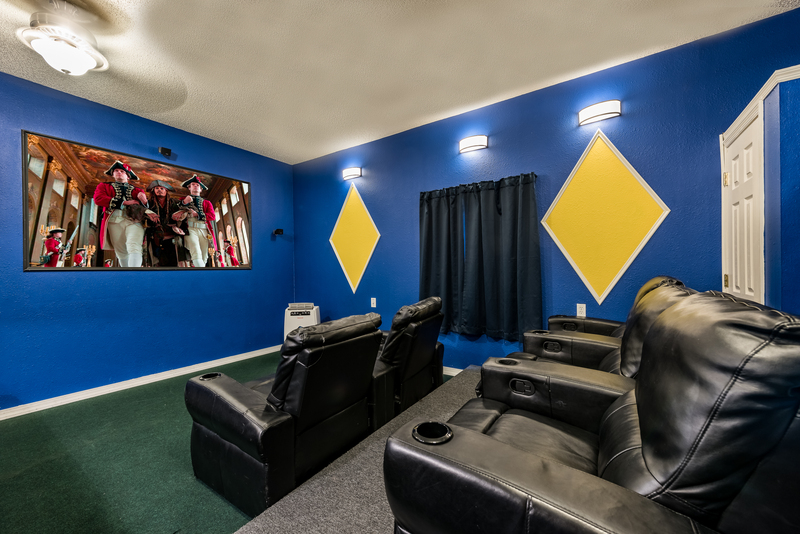 The game-room is professionally decorated to give you a real sense being in a theater. 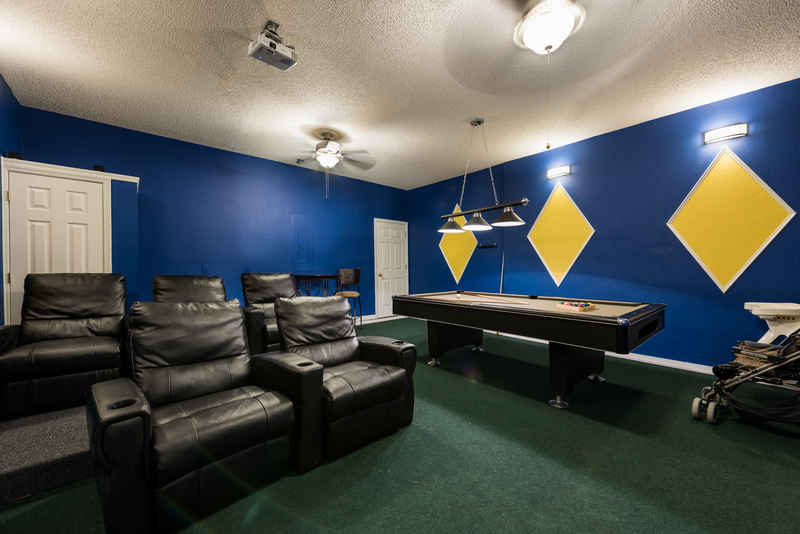 If there is a garage door - it is a garage, not a game-room! 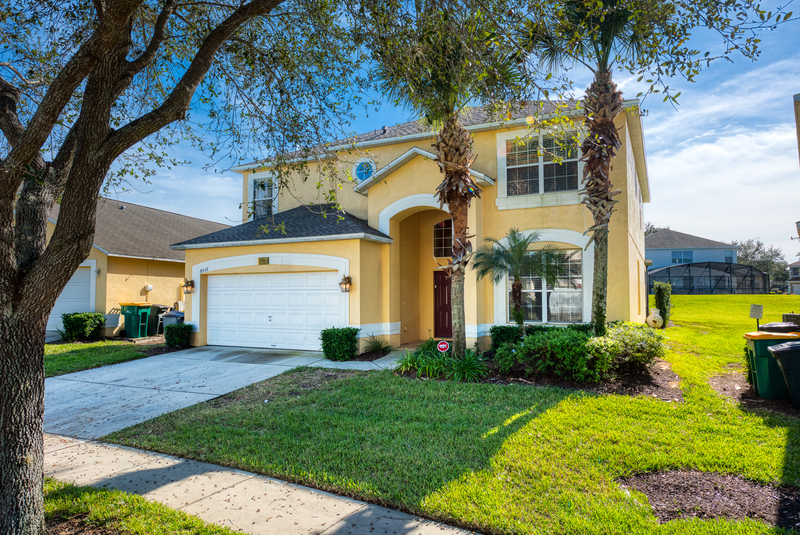 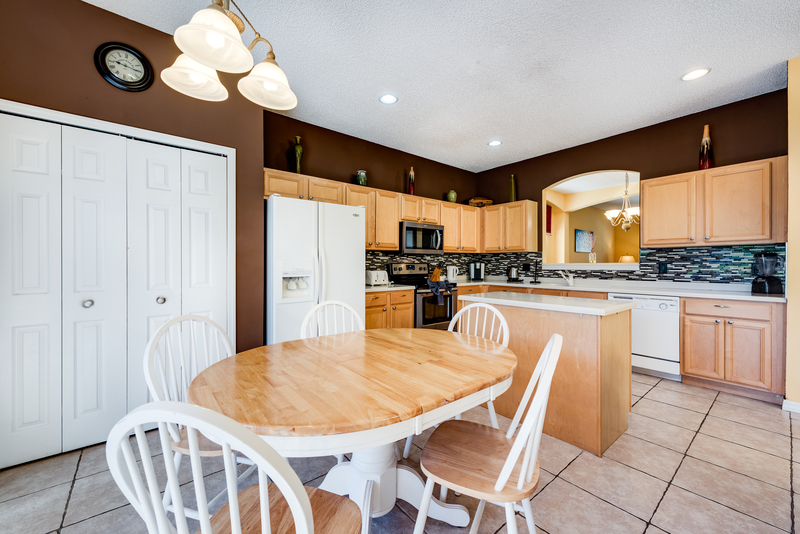 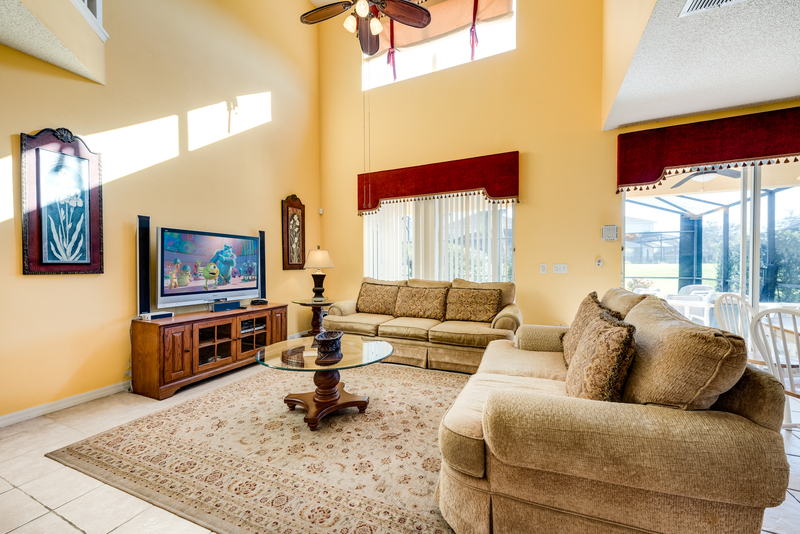 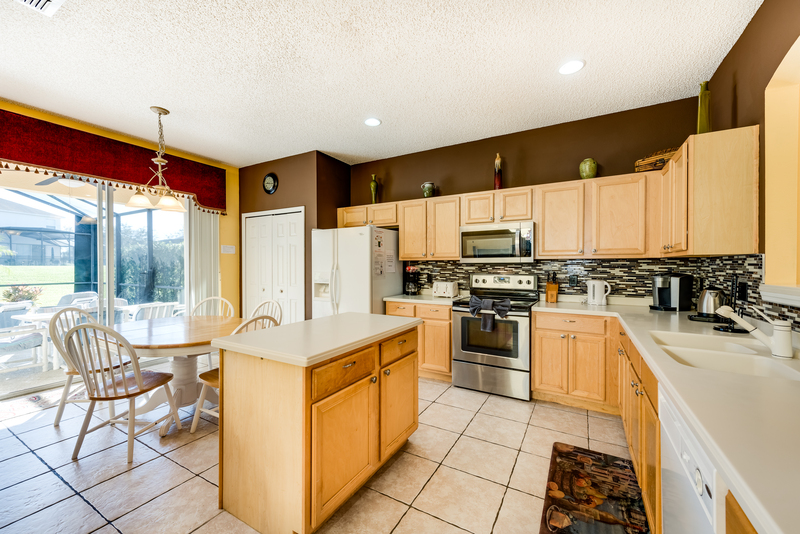 Located to the front of the vacation home, the living room serves as a gathering spot for your family. 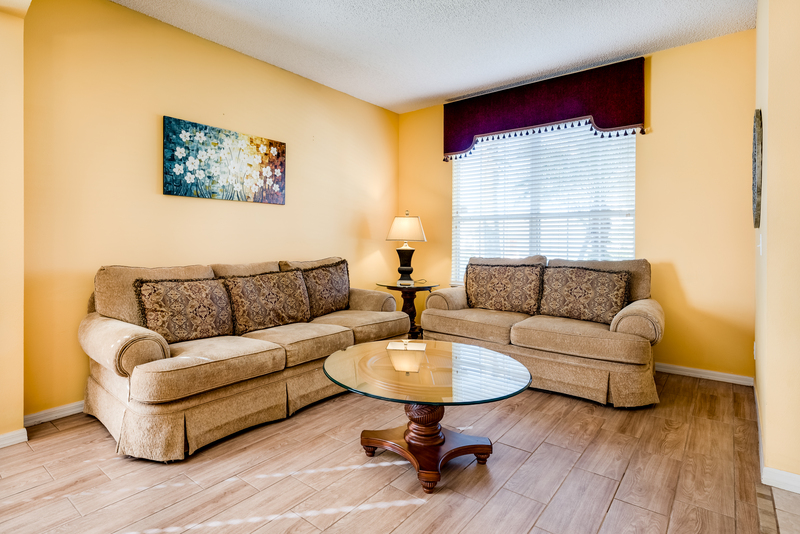 Sit back and relax in the main living area that has been tastefully decorated and furnished high quality furnishings. 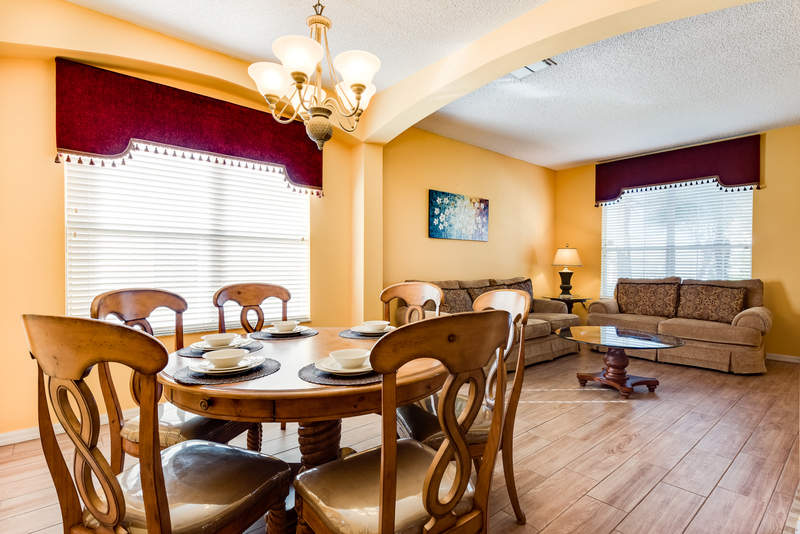 The room has a comfortable sofa, love seat, coffee table, intimate lighting. 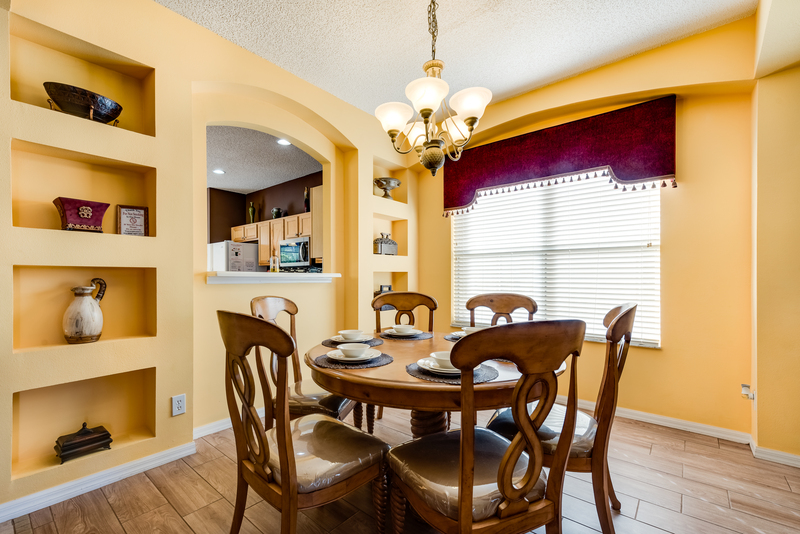 Adjacent to the living room is the formal dining offering a cozy space for those exotic dinners. 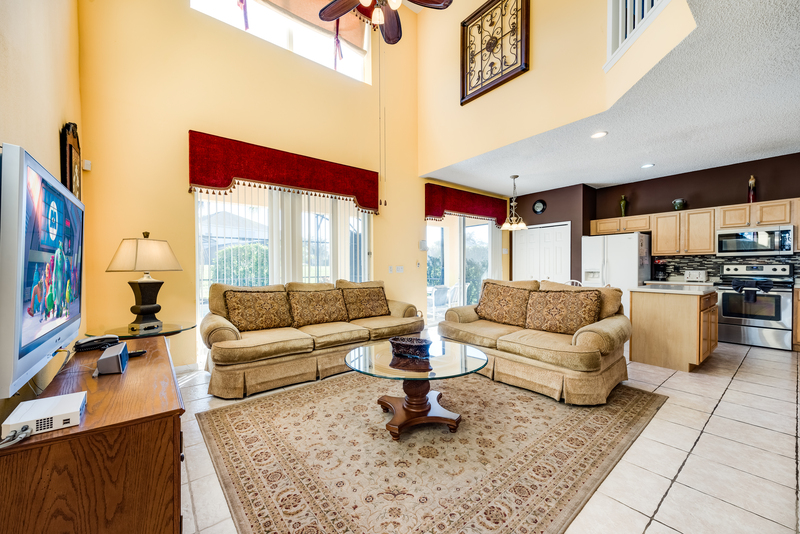 This area also overlooks the kitchen area through the architectural arches of this luxury vacation home. 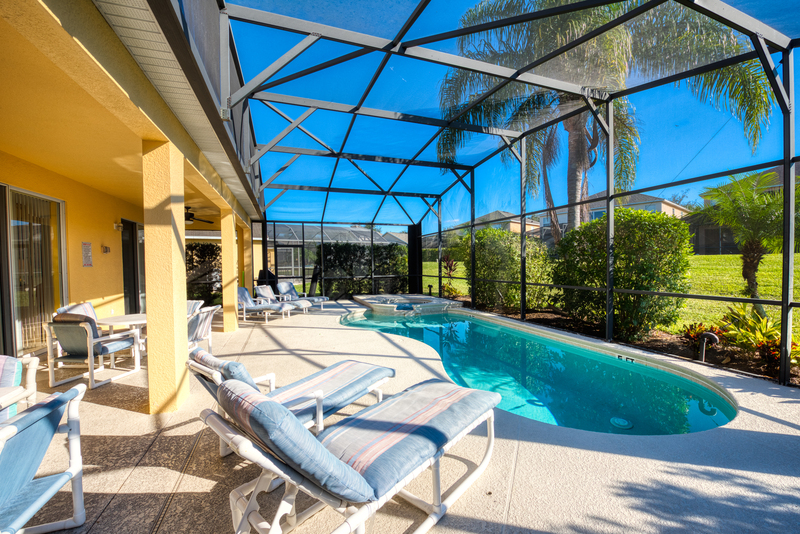 Luxuriously decorated, this spacious master bedroom has a king size bed and an en-suite bathroom with windows over-looking the south-facing pool area. 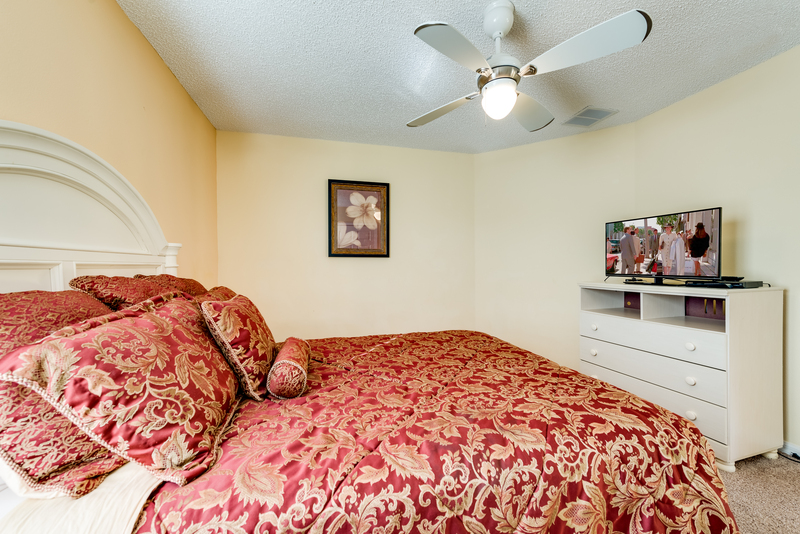 This bedroom has a 32" LED TV and DVD player, lamps, clock/radio/alarm, dresser and mirror, and a huge walk-in closet. 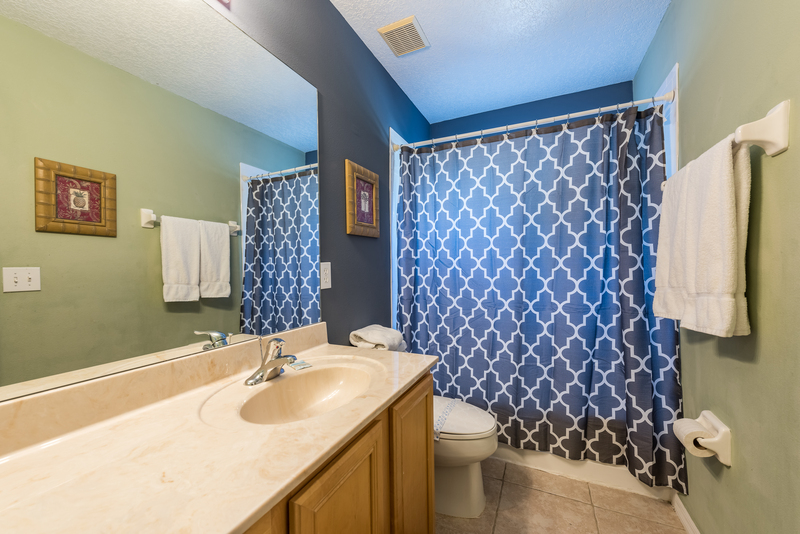 The first floor master bathroom is an en-suite to the king master bedroom and offers a Jacuzzi tub, shower, spacious sink area and toilet. 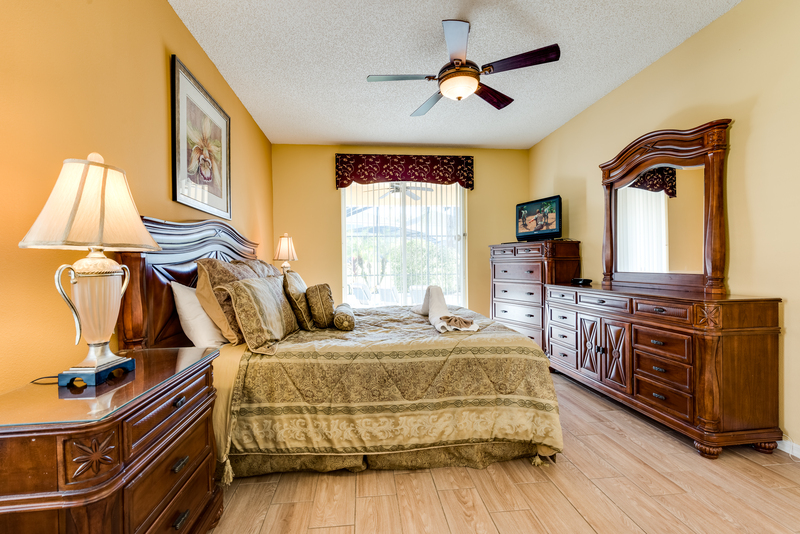 The second-floor master bedroom features slumber-soft king-size bed, LED TV, DVD player, nightstands, lamps, clock/radio/alarm, dresser and mirror, walk-in closet, plus a private master bathroom, with a mirrored vanity unit, toilet and tub. 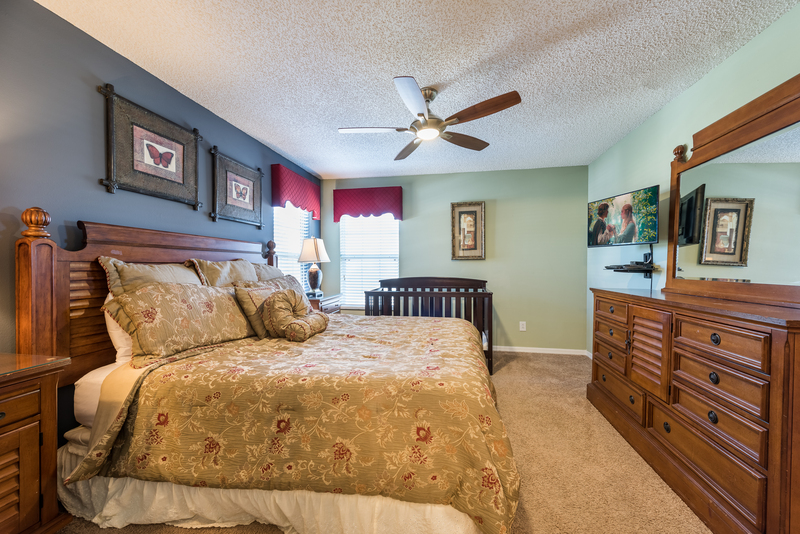 The third master bedroom offers a queen-size bed, nightstands, LED TV, DVD player, closet space and is adjacent to the family bathroom. 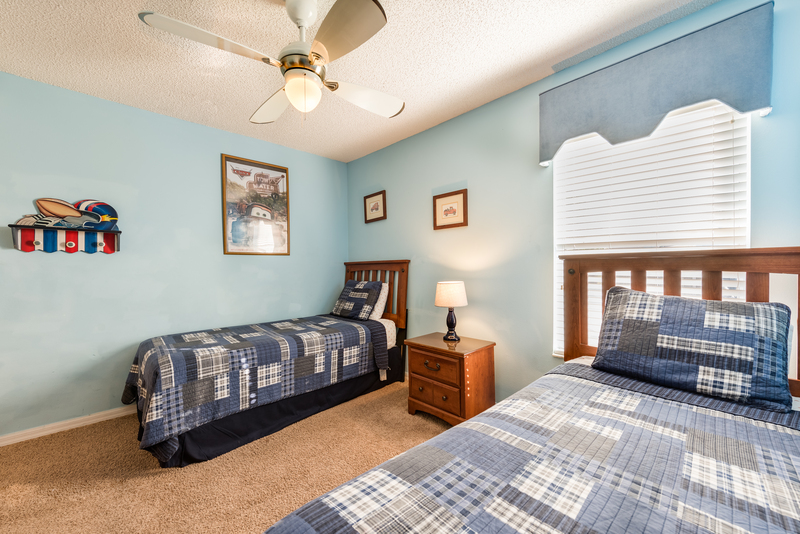 This cottage style bedroom is furnished with a queen sized bed with matching furnishings and provides a closet and ample drawer space with a dresser and mirror. 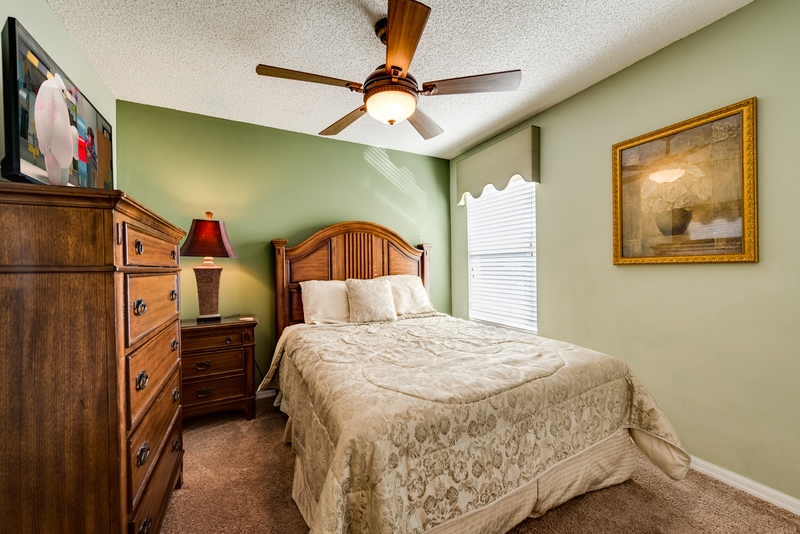 This room also features LED Cable TV with DVD, ceiling fan and alarm clock radio. 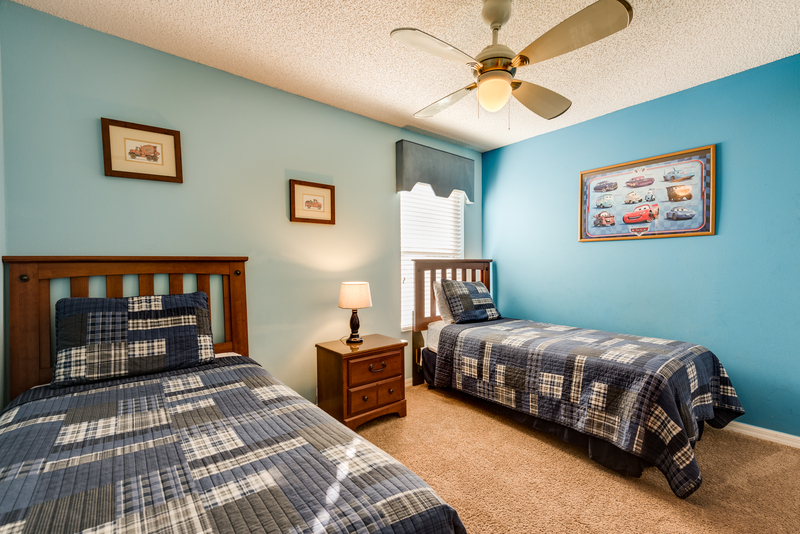 This cars themed bedroom will surely excite kids of any age! 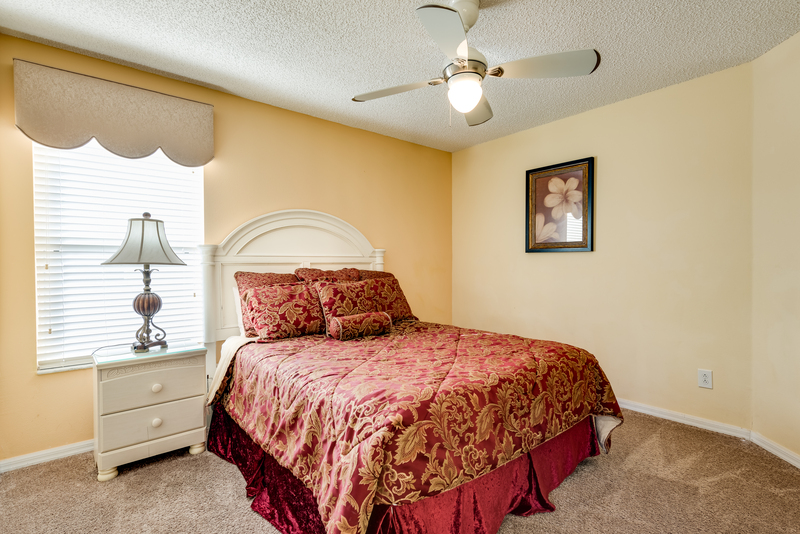 This room also offers a LED TV, DVD player, nightstand and closet space. 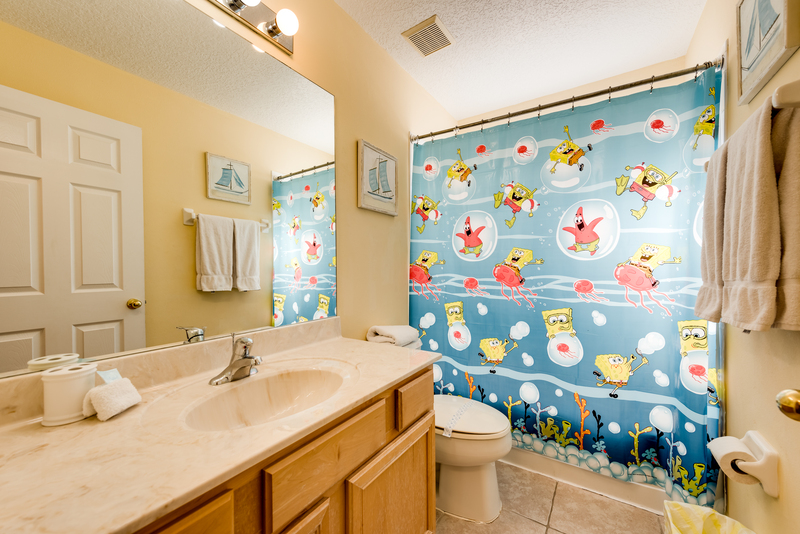 This bedroom can access the family bathroom. 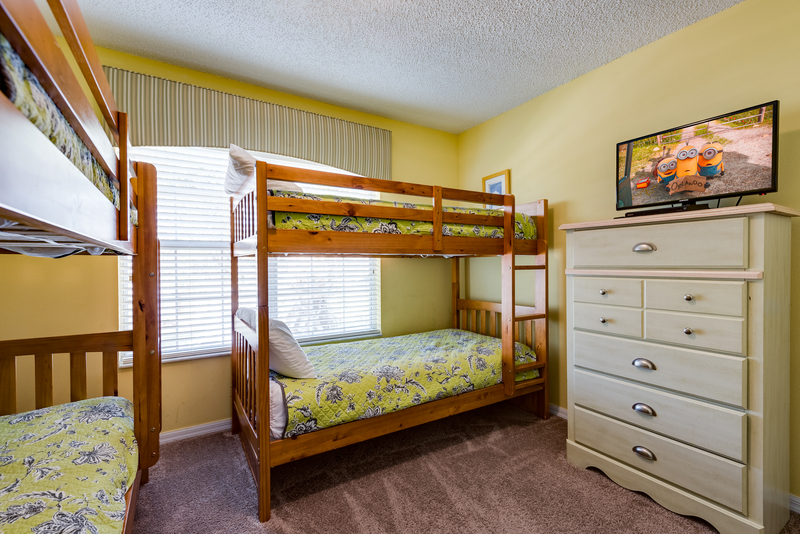 This bedroom with neutral themed decor is ideal for boys or girls and offers two bunk beds (not shown in pictures). 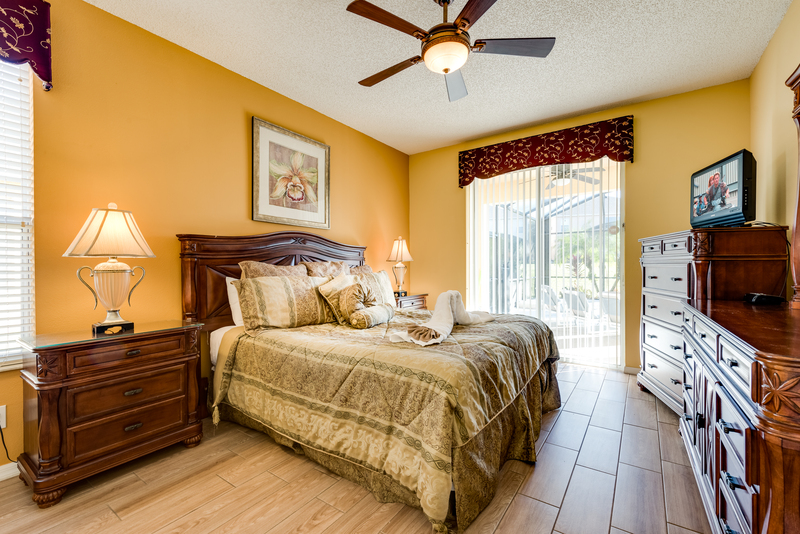 With uncompromising decor this bedroom offers LED TV, DVD player, nightstand and closet space. 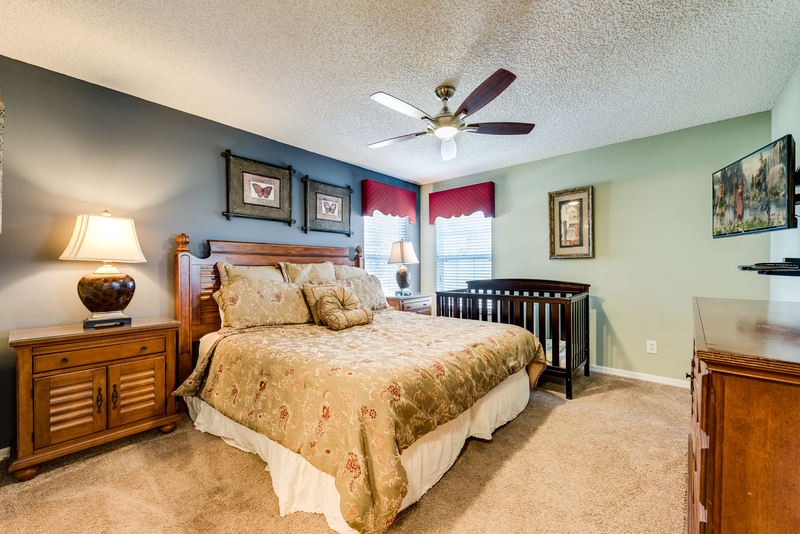 This bedroom can access the family bathroom. 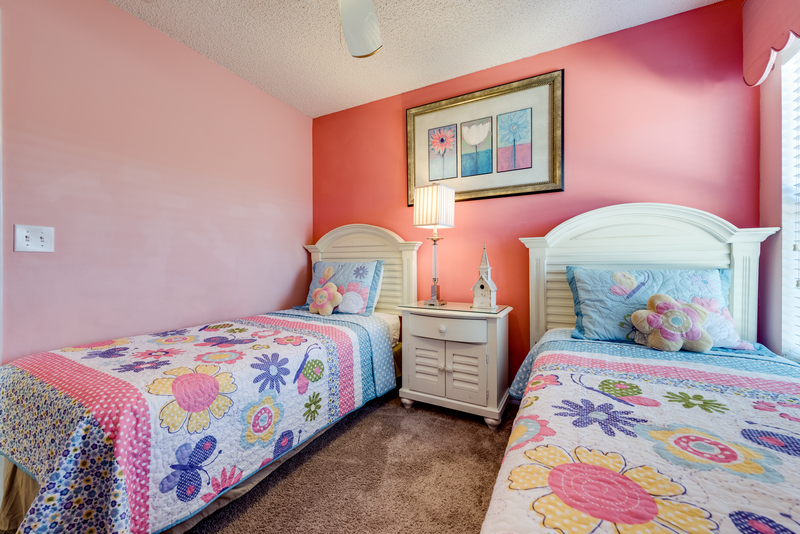 This Princess themed bedroom will surely excite girls of any age which is a perfect for two young girls! 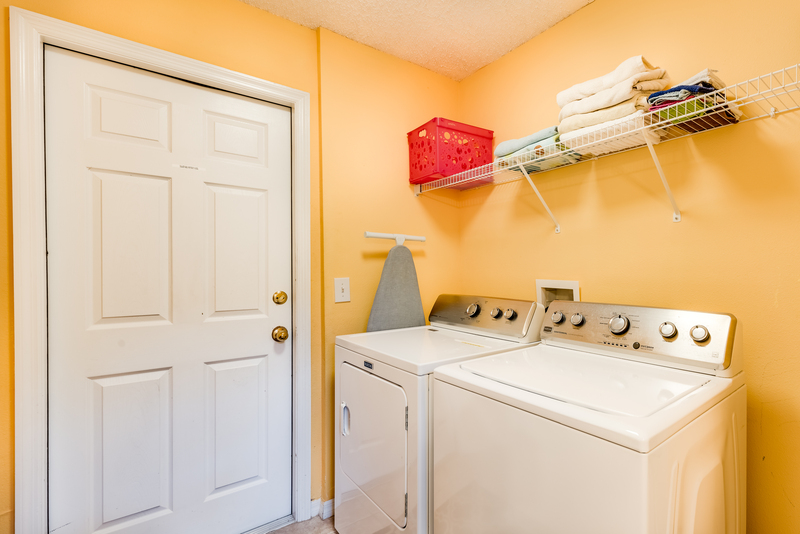 This room also offers a LED TV, DVD player, nightstand and closet space. 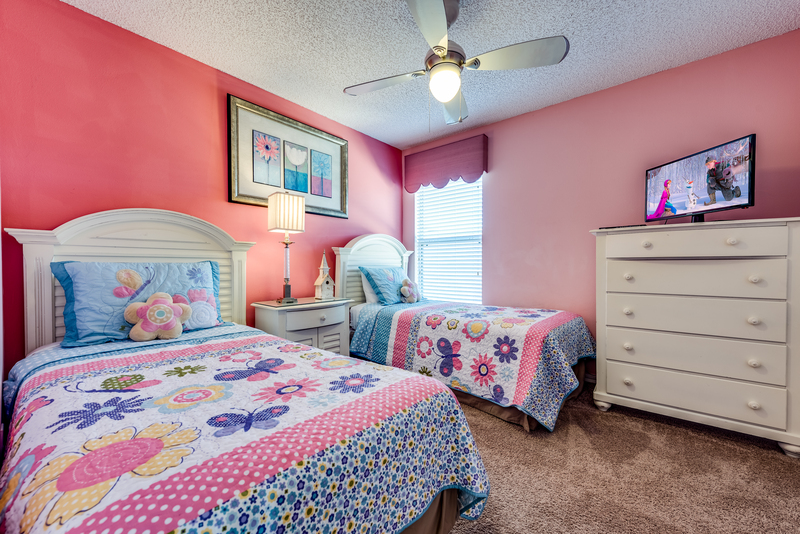 This bedroom can access the family bathroom. 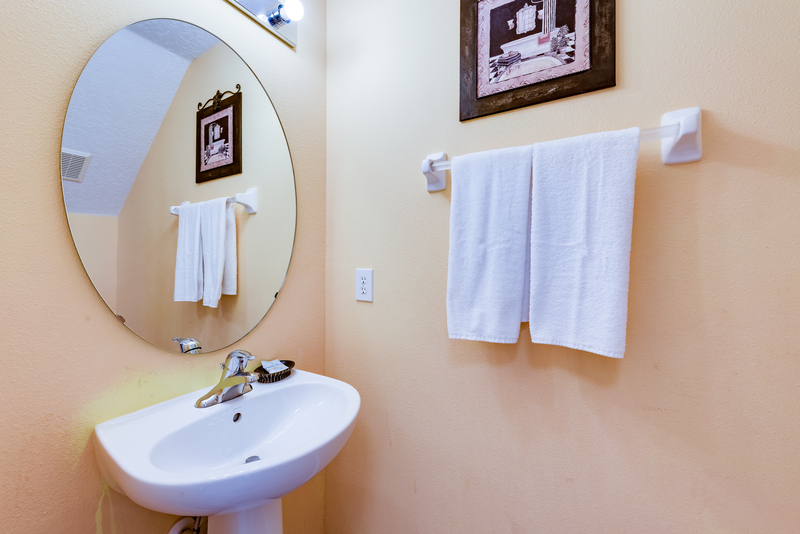 The third, fourth and seventh bedrooms share a family bathroom that is conveniently located on the same level. 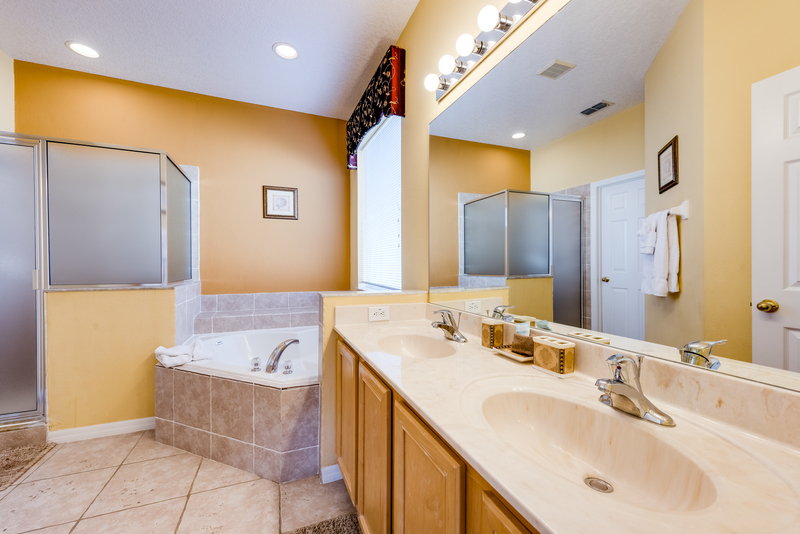 The fifth and sixth bedrooms share a family bathroom that is conveniently located on the same level. 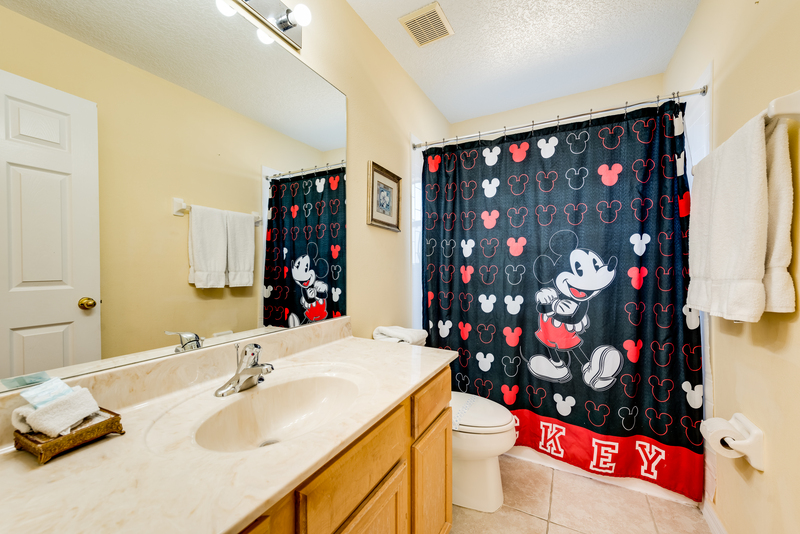 There is a half bath/powder room on first floor. 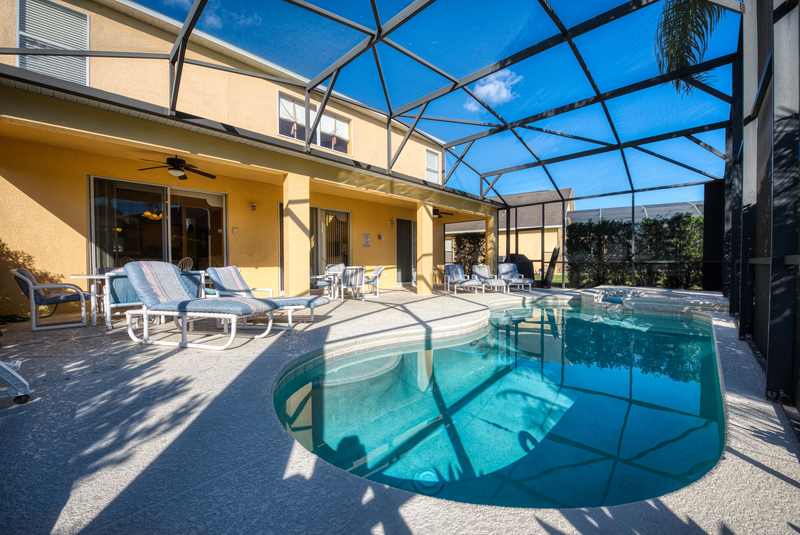 Have a dip in the child safety screened, south-facing, optionally heated pool, or refresh all those tired muscles in your private heated spa. 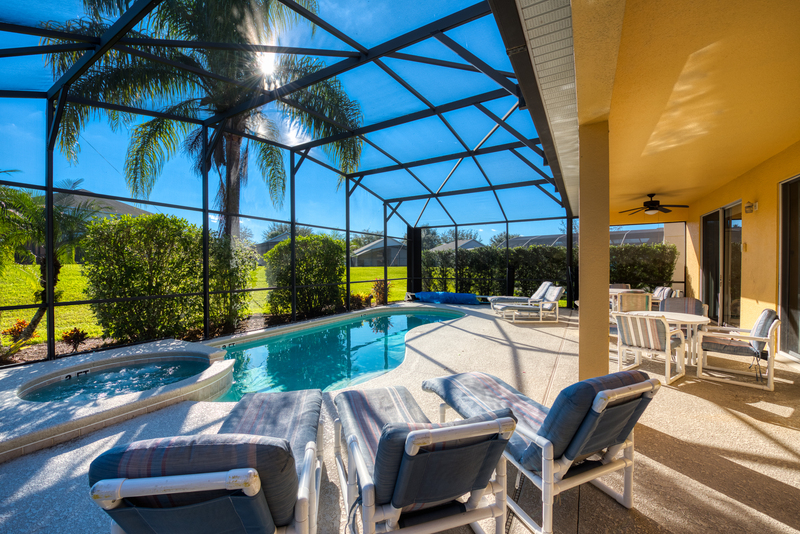 Then just relax and read your favorite book on the extended deck around the pool.